Gaylord and Sophie White family. 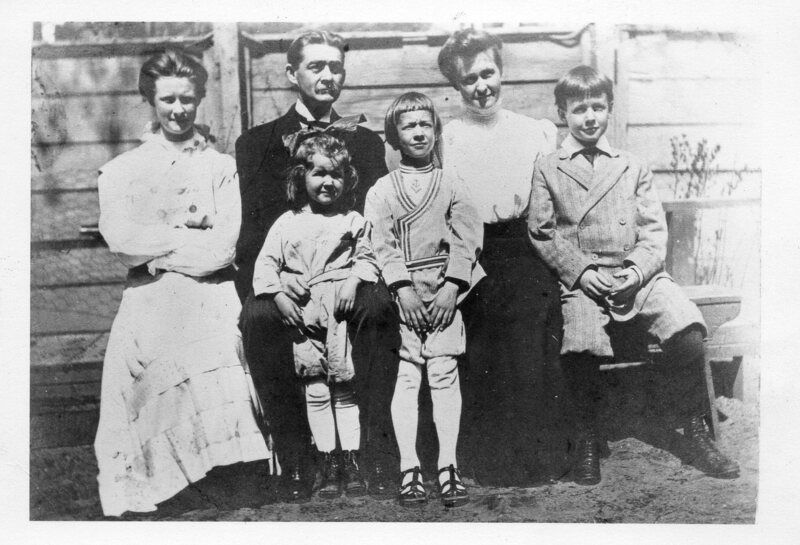 From left: Sophie (Jr), Gaylord, Sophie Douglass Young White, and Charles. In front, Katharine and Cleveland. In the spring of 2014, I got a bit more serious about genealogy and began digging into historical records. What interested me most was the stories of my ancestors' lives--the narratives behind dry birth/marriage/death data. I began posting stories to Facebook and writing them in emails to my family--in addition to installing some online genealogical software (publicly available over here), creating a photo gallery, and building a tree on Ancestry.com (look for jbutler1432, if you have an account there). These Webpages are just a simple way to assemble those stories in one online location, for the benefit of family, friends and the idly curious. The stories are not in chronological order, but are presented as they happen to come up. No stories of living persons are included and no genealogical information about them is posted anywhere on this site. You may contact me via email if you have comments. Collected by Jeremy Gaylord Butler, who used these Webpages as an excuse to try to learn more about HTML5 and responsive Web design (which he clearly does not fully understand). Copyright © 2014-2019 Jeremy Gaylord Butler. Click here for his email address.